Draft: 2015, Washington Nationals, 5th rd. University...went 9-0 with a 3.50 ERA in 15 games/13 starts for Oklahoma Baptist in 2015...struck out 71 batters in 64.1 innings of work; his 9 wins ranked T3rd in the NAIA Sooner Athletic Conference while his 71 strikeouts ranked 10th…originally selected by Pittsburgh in the 22nd round of the 2012 June Draft, but did not sign...also selected by Cincinnati in the 36th round of the 2014 June Draft, but did not sign, and by Minnesota in the 25th round of the 2014 June Draft, but did not sign. Acquired from the Pirates, along with a PTBNL, in exchange for Keone Kela on 7/31...logged a careerbest 129.0 IP, compiling the lowest WHIP (1.171) of his career and his 3.3 BB/9 were fewest since pro debut in 2015 (2.8 BB/9 in 48.0 IP)...opponents batted .216/.289/.335/.624... opened season with Altoona (AA) in the PIT organization and was tabbed the 19th-best prospect in the Eastern League by Baseball America...also named an EL Mid-Season All-Star...allowed 3-orfewer runs in 3 of 5 starts with Frisco following the trade…began season as the Pirates' 9th-best prospect according to Baseball America. April 25, 2019 Texas Rangers recalled LHP Taylor Hearn from Nashville Sounds. 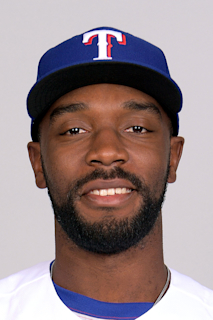 March 12, 2019 Texas Rangers optioned LHP Taylor Hearn to Nashville Sounds. November 20, 2018 Texas Rangers selected the contract of Taylor Hearn from Frisco RoughRiders. August 3, 2018 Frisco RoughRiders activated LHP Taylor Hearn. July 31, 2018 Texas Rangers traded RHP Keone Kela to Pittsburgh Pirates for Taylor Hearn and Player To Be Named Later. July 31, 2018 Frisco RoughRiders placed LHP Taylor Hearn on the reserve list. April 5, 2018 LHP Taylor Hearn assigned to Altoona Curve from West Virginia Black Bears. September 22, 2017 LHP Taylor Hearn assigned to West Virginia Black Bears from Bradenton Marauders. September 15, 2017 Bradenton Marauders activated LHP Taylor Hearn from the 7-day disabled list. September 2, 2017 Bradenton Marauders sent LHP Taylor Hearn on a rehab assignment to GCL Pirates. July 15, 2017 Bradenton Marauders placed LHP Taylor Hearn on the 7-day disabled list. April 4, 2017 LHP Taylor Hearn assigned to Bradenton Marauders from West Virginia Power. August 2, 2016 LHP Taylor Hearn assigned to West Virginia Power. July 30, 2016 Washington Nationals traded LHP Felipe Rivero and LHP Taylor Hearn to Pittsburgh Pirates for RHP Mark Melancon. June 30, 2016 LHP Taylor Hearn assigned to Hagerstown Suns from GCL Nationals. June 24, 2016 LHP Taylor Hearn assigned to GCL Nationals from Hagerstown Suns. April 14, 2016 Hagerstown Suns placed LHP Taylor Hearn on the 7-day disabled list. April 6, 2016 LHP Taylor Hearn assigned to Hagerstown Suns from Auburn Doubledays. July 5, 2015 LHP Taylor Hearn assigned to Auburn Doubledays from GCL Nationals. June 26, 2015 LHP Taylor Hearn assigned to GCL Nationals. June 25, 2015 Washington Nationals signed Taylor Hearn.